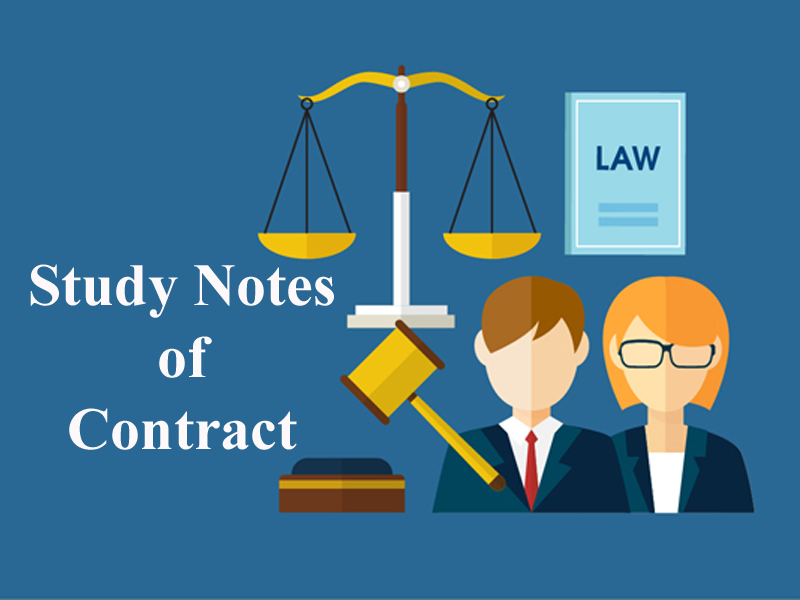 Here we are providing you updated and most relevant Study notes on Contract of Consideration for Law Entrance Exam. These study notes are highly recommendable for all those who aspire to crack CLAT, DULLB, AILET and other Law Entrance Exam. Example: X agreed to deliver a piece of a sofa set to Y and Y agreed to pay Rs 5,000 on delivery. In this case, the consideration for X is Rs. 5000 and for Y is sofa set. (1) An act done voluntarily by the promisee or at the desire of the third party will not constitute a valid contract. Example: A voluntarily rescues B’s son from drowning in the river. Here, A cannot claim remuneration from B, because he has not done it at B’s request. (2) It may be furnished by any person, not necessarily the party to the contract. An old lady transferred a property to her daughter. In return, she wanted her daughter to pay an annuity to her aunt (i.e.) the old lady’s sister. Accordingly, the girl made a deed agreeing to pay a particular sum to her aunt. After a while, she stopped paying the sum. Her contention was that since her aunt had not given her any consideration, she was not obliged to hold on to her promise. The Court, however, held that consideration had moved from her mother. (3) A stranger to a contract cannot sue. A person may be a stranger to the consideration but he should not be a stranger to the contract. The beneficiaries are not strangers. (4) Consideration may be past, present or future. a. Past Consideration: When something is done or suffered before the date of the agreement, at the desire of the promisor, it is called past consideration. Shyama Shastri teaches music to Bala Murugan’s son at the latter’s request from January to July. In September, Bala Murugan promises to pay Shyama Shastri a sum of Rs. 5000 for his services. The music lessons given by Shyama Shastri between January and July are past consideration. b. Present Consideration: Consideration which moves simultaneously with the promise is called present consideration. Example: Harish sells and delivers a cycle to Rakesh, who promises to pay on the 1st of the next month. The consideration moving from Harish is the present consideration, which is moving simultaneously with the promise of Rakesh. c. Future Consideration: When the consideration on both sides is said to move at a future date, it is called future consideration. Example: Satish promises to sell and deliver 10 bags of wheat to Kamesh for Rs. 8000 after a week, upon Kamesh’s promise to pay the agreed price at the time of delivery. (6) Consideration Need Not Be Adequate. The owner has the absolute right to sell his property at the price he likes. Thus a pen of Rs. 5 can be sold for Rs. 5 lakh, a luxury car of Rs. 1 crore can be sold for Rs. 11000 or less. Generally a contract without consideration is void, however, in certain exceptional cases, a contract may be valid even if it is not supported by consideration. a. Agreement made on account of natural love and affection. An Agreement made without consideration is enforceable if, it is made between parties in near relationships. (Ex: Husband and wife / Brother and sister, parents & children ). Note: Such agreements must be made in writing and registered under the law for the time being in force. The inadequacy of consideration does not make the contract void. In cases of the inadequacy of consideration, it is essential that the consent must be a free consent. Natural love and affection existed between blood relationships and in relationships with husband and wife. An older brother on account of natural love and affection promised to pay the debts of his younger brother. The agreement was in writing and registered. Held, the older brother was liable to the creditors. A man promised to transfer a house property in favour of his wife. He put this agreement in the form of a deed and also registered it. In the deed, there was a mention of their frequent quarrels and arguments and hence they had decided to live separately. Held, that the wife could not enforce the agreement because it was not made out of love and affection. A promise made without consideration is valid, if it is a promise to compensate, wholly or in part, a person who has already voluntarily done something which the promisor, was legally compelled to do. Example: Seema rescued Vishnoo from drowning in the river. Raghu, Vishnu's father, in gratitude for Seema’s service, promises to pay Rs.5000/- to Seema. This contract between Seema and Raghu is valid, although it is not supported by consideration. Where there is an agreement, made in writing and signed by the debtor or by his authorized agent, to pay wholly or in part a debt barred by the law of limitation, the agreement is valid even though it is not supported by any consideration. A time-barred debt cannot be recovered and therefore a promise to repay such a debt is without consideration, hence the importance of the present exception. The limitation Act lays down that if a debt is not recovered within the period of limitation, (generally 3 years in the case of contracts) the debt becomes legally unenforceable. Such a debt is called time-barred debt. 1. The promisor himself must be liable for the debt. 2. There must be an ‘express promise to pay. 3. The promise must be in writing and signed by the debtor or his agent. A gift does not require consideration in order to be valid. “As between the donor and the donee, any gift actually made will be valid and binding even though without consideration.” Movables can be gifted without any registered document but for a gift of immovable property, it is essential to get the document written, attested and registered. If the gift deed is duly attested by two witnesses and the duly registered gift is valid. A promise to contribute to charity, though gratuitous, would be enforceable, if, on the faith of the promised subscription, the promisee takes definite steps in furtherance of the object and undertakes a liability, to the extent of liability incurred, not exceeding the promised amount of subscription. Donations were invited for the renovation of a mosque. A person promised to donate Rs. 500 towards it. But the mosque authorities took no steps towards the work. Held, that the promisee could not enforce the promise as they had not taken any steps in furtherance of the object. · A promises to pay Rs. 1000 to B, without any consideration. The agreement is void. · A founds B’s Documents and gives it to him. B promises to pay A Rs. 100 as the reward. This is a contract. · A owes Rs. 10,000 to B but the debt is barred by the limitation act. A promises to pay Rs 6000, on account of the debt and also signs the agreement for the same. This is a contract. · A agrees to sell a house worth Rs 1 lakh for Rs. 1. A’s consent to the agreement was freely given. This is a contract, the inadequacy of the consideration does not make’s the agreement void as there is free consent of A. 1. Sec 2(d) of The Indian Contract Act,1872 deals with? 7. An act done voluntarily by the promisee or at the desire of the third party will __________ a valid contract. 9. An older brother on account of natural love and affection promised to pay the debts of his younger brother. Will this be valid? 13. A, finds B’s horse and returns it to B. B promises to pay Rs.3000 as the reward. Is this valid? 14. If wants to sell his son for Rs. 2 will it be a valid consideration? Get the updated and most relevant study notes on Contract of Consideration for upcoming CLAT and other Law Entrance Examination.